SHAFAQNA – Of the 51 people who died in the Saudi airstrike on August 13, 40 were children. This strike was the worst attack on children since Yemen’s brutal war escalated in 2015. Saudi Arabia denies targeting civilians and defended the incident on Thursday as a “legitimate military operation” and a retaliatory response to a Houthi ballistic missile that targeted the kingdom’s Jizan province the day before. The war in Yemen is now the world’s worst humanitarian crisis, with more than 22 million people — three-quarters of the population — in desperate need of aid and protection, according to the United Nations. At least 40 children were killed in strike, which hit the bus as it drove through a market in Dahyan, a town in Saada, the armed Houthi group which controls the province said, Reuters reported. The charity Save the Children said it had been told by its staff that the children were on their way back to school from a picnic when the driver of their bus stopped to get a drink. The vehicle was stationary when the attack happened, it added. Yemeni tribal elders told the Associated Press that the bus was hit as it passed through Dahyan market and that it was transporting local civilians, including many school children. The ICRC said a hospital it supported in Saada had received the bodies of 29 children, all of them under the age of 15, and 48 injured people, among them 30 children. 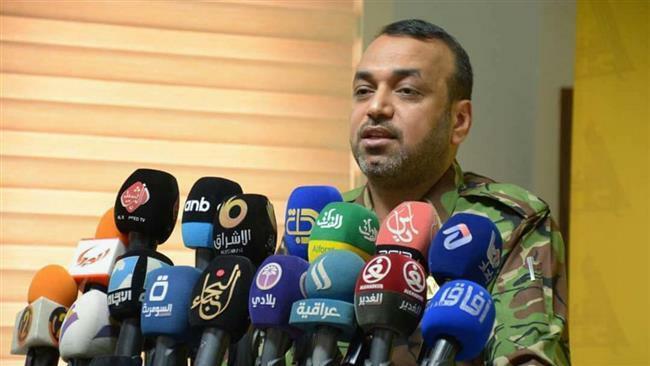 The Houthis’ health minister Thai Mutawakil said last week that the estimated number of casualties stood at 51 killed including 40 children, and at least 79 people wounded, of which 56 were children, english Ahram reported. The Children described the incident as “horrific”, and called for a full, immediate and independent investigation into recent attacks on civilians and civilian infrastructure, BBC told. Graphic footage of the immediate aftermath of the strike, broadcast by Houthi media, shows the children’s charred bodies under the blown-up bus. In one video, a Yemeni father spots his son’s corpse partially covered by a blue tarpaulin in the back of a pickup truck. A video taken by one of the boys shows the classmates jostling and yelling on a packed school bus, clearly excited for the day ahead. a field trip to a graveyard for rebels, one of the few green spaces left in the northern Saada governate. Because of the war, most of the parks and gardens are destroyed,” explained the boys’ 40-year-old teacher, Yahya Hussein. “The nicest areas are the martyr’s shrines and mosques,” he told CNN. Thousands of mourners gathered to bury dozens of children killed in a Saudi-led coalition air strike on a bus in northern Yemen. Cars bearing the logo of the Houthi movement transported the bodies, wrapped in white shrouds, from the hospital to a large square for prayers before heading to the graveyard, where rows of graves were dug on Friday. 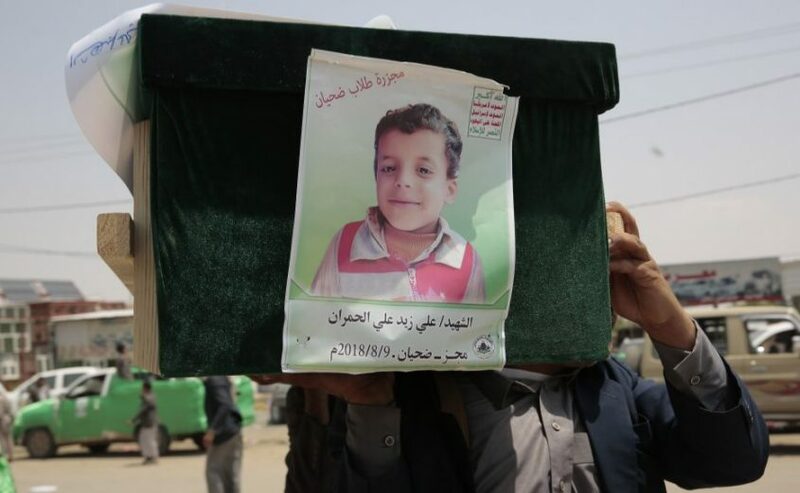 People carried pictures of those killed as armed Houthi fighters managed the crowd attending the funeral. The head of the Houthis’ supreme revolutionary committee, Mohammed Ali al-Houthi, attended the funeral and blamed the United States “for this crime and all the crimes that have been committed against Yemen”, the Houthi-held al-Masirah TV said. “My son went to the market to run house errands and then the enemy air strike happened and he was hit by shrapnel and died,” said Fares al-Razhi, mourning his 14-year-old son. For my son, I will take revenge on Salman and Mohammed Bin Zayed,” he said, referring to leaders of Saudi Arabia and the United Arab Emirates. The Persian Gulf Arab states are leading the alliance of Sunni Muslim countries that intervened in Yemen’s war in 2015 to try to restore the internationally recognized government that was expelled from the capital Sanaa by the Houthis in 2014. The coalition said it would investigate the strike after U.N. Secretary-General Antonio Guterres condemned the attack and called for an independent probe. 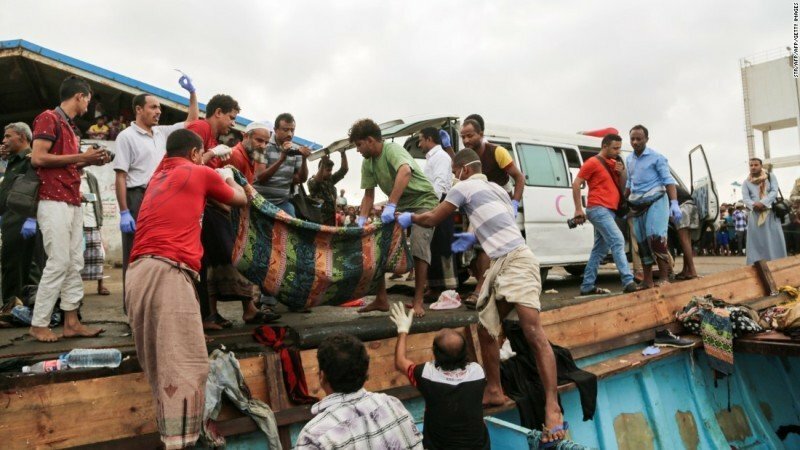 A week ago, at least 55 civilians were killed and 170 others wounded in a series of attacks on the rebel-held Red Sea port city of Hudaydah. The coalition denied that it had carried out air strikes in the area, and blamed the deaths on rebel mortar fire. But, the Saudi state news agency SPA said Saudi Arabia’s mission to the world body had delivered a message to Guterres reiterating that the military action was “legitimate” and had targeted Houthi leaders responsible for “recruiting and training young children”. According to independent, footage of distressed children covered in blood arriving at medical centers sparked outrage around the world. 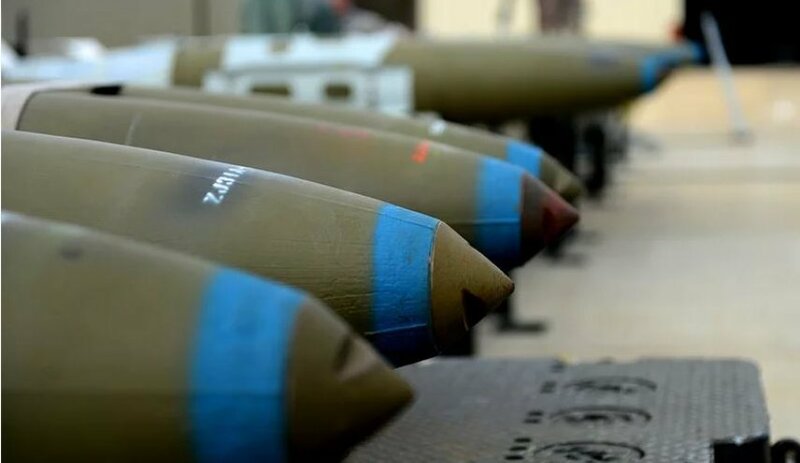 The incident has also reignited debate over the role of Western countries such as the UK and US in supporting the coalition fighting Houthi rebels through both arms sales and operational support. Riyadh initially said strike that killed 40 children was a legitimate military operation carried out in accordance with humanitarian law. The attack had targeted a Houthi missile launching site which has been used to target the Saudi city of Jizan just over the border. The coalition, which is backing Yemen’s government in a war with the Houthis, said its actions were “legitimate”. It insists it never deliberately targets civilians, but human rights groups have accused it of bombing markets, schools, hospitals and residential areas. 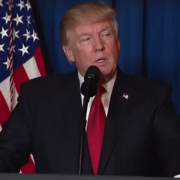 The United States and other Western powers provide arms and intelligence to the alliance, and human rights groups have criticized them over coalition air strikes that have killed hundreds of civilians at hospitals, schools and markets. A U.S. military spokeswoman said U.S. forces were not involved in Thursday’s air strike. The U.S. State Department urged the Saudi-led coalition to “conduct a thorough and transparent investigation. The United Nations in Sanaa, Yemen to denounce last week’s air strike that killed dozens including children in the northwestern province of Saada, August 13, 2018. Amid outrage from international human rights groups and U.N. officials, Riyadh continued to defend the raid as a “legitimate military action” intended to hit Houthi leaders, a day after it authorized a coalition investigation of the strike. The U.N. special envoy to Yemen has been shuffling between the warring parties ahead of holding consultations in Geneva on Sept. 6 in an effort to end the conflict that has killed more than 10,000 people and pushed the impoverished Arab country to the verge of starvation, according to the United Nations. Henrietta Fore, executive director of the UN’s children’s fund, said the “horrific” attack marked “a low point in (Yemen’s) brutal war”. The ICRC stressed that “under international humanitarian law, civilians must be protected during conflict”, while the secretary-general of the Norwegian Refugee Council Jan Egeland called it a “grotesque, shameful” attack that showed “blatant disregard for rules of war”. the U.N. Security Council calls for a credible and transparent investigation into last week Saudi-led coalition air strike on a school bus in Yemen that killed dozens of children. In a statement on Friday, the senior U.N. official, Karen Pierce, expressed “grave concern” at the latest attacks in Saada province. 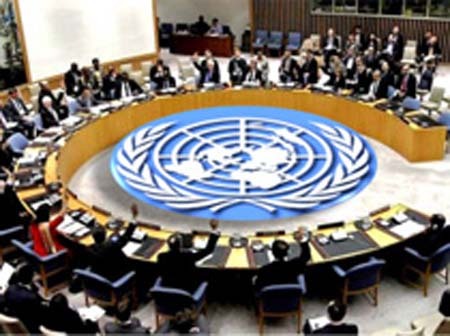 “The members of the Security Council met and heard a briefing from the Assistant Secretary-General on the recent attacks in Saada, which resulted in large numbers of civilian casualties including children. They expressed their grave concerns at these and all other attacks in Yemen. They called for a credible and transparent investigation”, Euronews reported. The new UN special envoy to Yemen, former British diplomat Martin Griffiths, is planning to invite the warring parties to Geneva in September to discuss a framework for negotiations. He told the BBC that if the conflict is left unresolved, Yemen could collapse and the international community could be looking at “Syria-plus” in the years to come. Almost 10,000 people – two-thirds of them civilians – have been killed and 55,000 others injured in the fighting, according to the United Nations. Civil war broke out in Yemen after Houthi rebels seized control of the capital, Sanaa. Since then the conflict has descended into a stalemate and civilians are suffering in the world’s worst humanitarian crisis, including the biggest cholera epidemic in modern history. Eight million people are now living on the brink of famine and a further 22 million are in need of aid to survive. The war in Yemen will get more complicated the longer it goes on. 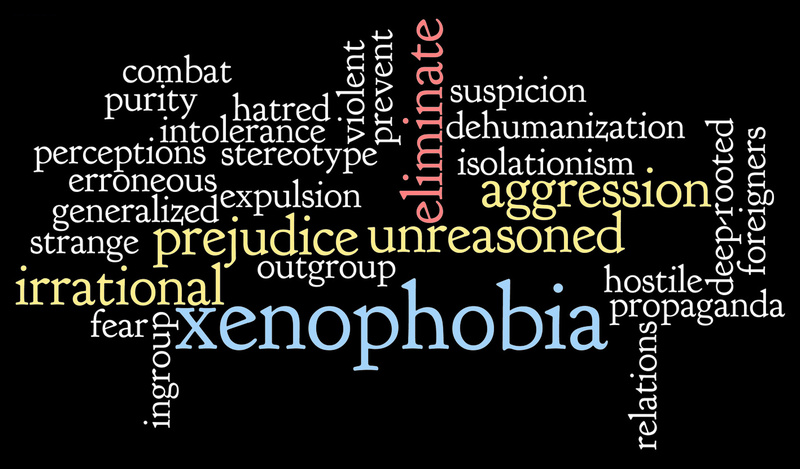 There will be more international interest and polarisation in terms of the parties, it will fragment further, it will be more difficult to resolve – even more than it is now. “It is high time for these relapsing tragedies to stop in Yemen,” said Robert Mardini, the ICRC’s regional director. “No one should allow putting children in harm’s way and making them pay such an unacceptable price “, Telegraph reported.